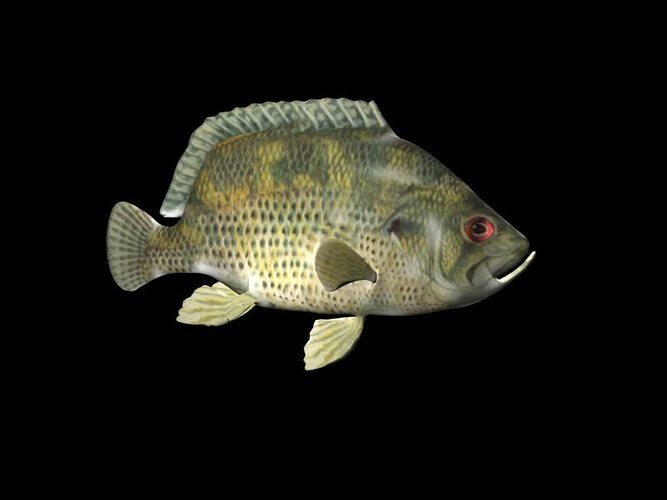 Rockbass modelled in Maya 6 , textured in Zbrush and rendered with Mental Ray 3.3. This fish model can be rigged and animated in any 3d program. Please send me the file for format conversion.